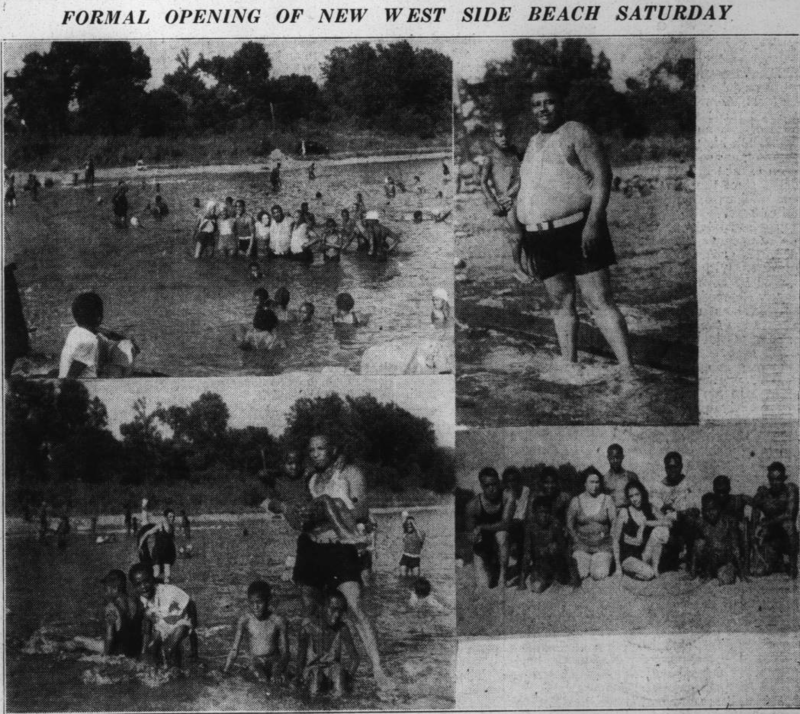 In August 1936 the Indianapolis Recorder included these images of the newly opened Belmont Park beach. Last week Indianapolis’ tourism agency Visit Indy proposed building a beach along the White River, the waterway that meanders through the heart of Indiana’s capital city. The idea modeled on temporary beaches in Paris (where swimming is not allowed in the Seine) was greeted with some skepticism: today, much of the river has a well-deserved reputation for pollution reaching back over the last century. The river and its urban tributaries have long been fouled by combined sewer overflows, industrial discharges, and upriver farm wastes, and many stretches of the river are inaccessible and unappealing. The Indianapolis press seem unable to imagine the White River as a tourist spot with something akin to a beach, but the river has a rich history of waterfront leisure that has included beaches from Ravenswood and Broad Ripple south to the edges of present-day downtown. Some of the most polluted stretches of the White River also wind through predominately African-American neighborhoods and attest to how segregation shaped African Americans’ experience of the river.